Kathleen Fuller writes for both the inspirational and secular markets, and is the author of two novellas, five novels, and numerous non-fiction articles. She has appeared on the radio programs Janet Parshalls’ America and Water Through The Word. Her latest novel, NEVER BROKEN, was released in March, 2006 and is available from CVS pharmacies, and soon on all online bookstores. She also owns her own freelance editing business. Currently a special education teacher at Geneva High School, Kathleen lives on a small farm in Geneva, Ohio with her husband James and their three children. 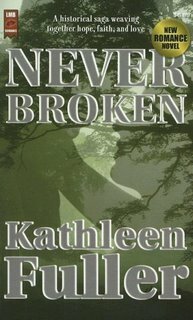 My latest novel, NEVER BROKEN, was released last month by Premium Press America. This isn’t a new publishing company, but this is their first foray into fiction, and I am one of the launch authors. NEVER BROKEN is the first book in the Everlasting Faith Series. Set in Ireland and Scotland in the 1840’s and 50’s, it’s the story of two brothers, Rory and Colm O’Leary, and two sisters, Shannon and Ainslee Cahill, and how the Irish famine impacts their lives and their faith. This is an inspirational novel, but it’s written for a secular audience and published by a secular house. For an excerpt, visit my website at www.kathleenfuller.com. The book is available at CVS pharmacies nationwide and online at www.amazon.com and www.barnesandnoble.com. My writing journey has been an interesting one. In 2000 I was a stay-at-home mom with three kids under the age of five. 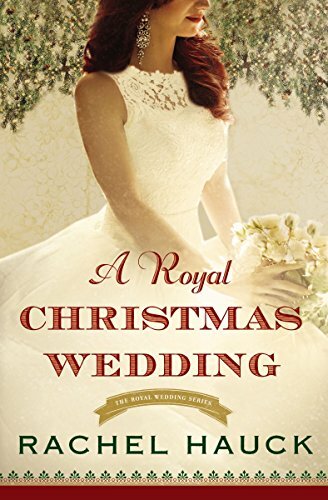 I was deeply engrossed in Christian fiction at the time, and I decided to try my hand at writing it. I realized I was a terrible writer so I checked out all the books on writing that I could find at the library and joined a writers group. I read and went to workshops to learn how to write. I also researched writers markets. Later that year my first short story, “My Wedding Day” was published in an e-zine. After that I had a few more short stories published in online magazines. I also developed some relationships with a few established authors, just emailing them as a fan of their work. Diane Noble was one of those authors and I sent her one of my published short stories for her to read. I stress published, because I never sent any works in progress to authors; that would be presumptuous. Diane read my story, was complimentary, and suggested I check into Tyndale’s novella anthologies and write something for them. She was gracious enough to let me use her as a reference. I wrote my first novella, “Encore, Encore,” which was based on a short story I had written a year earlier. I submitted it to Tyndale for their CHANCE ENCOUNTERS OF THE HEART anthology and got the call a few months later. I was thrilled. But at the same time 9/11 happened, and we were in the process of moving to a new city 90 minutes away, so that time was quite a blur. I do remember the same day I got the call my husband and I drove to our new house to sign the mortgage papers—and I had forgotten the checkbook! We were already an hour from home; fortunately the mortgage guy said we could run a check out to him the following week. On a daily basis. I know I can write passably well, but there are so many more talented writers out there who have creative plots and wonderful characters and beautiful prose that I doubt my ability to write even close to their caliber. The publishing business is so competitive that I feel enormous pressure to continue honing my craft. This is a great thing, though, because I need to keep growing as a writer. If I don’t become a better writer with each work I produce, then I should probably re-examine my writing career. How much time do you have? I think the biggest mistake I made, and this is going to sound weird, was to get published so quickly. God knew I needed the instant validation to keep plugging away, which is why I think He allowed me to experience getting published right out the gate, but I’ve never had a volume of work I could present to a publisher, or pieces that I could “practice” my craft on. I think if I would have written two or three manuscripts before getting published, I would not only be a better writer, but I would have had a better head for the business because I would have had more time to research it. I also wish I would have promoted myself better. I’m really uncomfortable selling things, and as a writer you are always selling your work and yourself, whether to an editor or to a reader. I feel like I’ve missed many opportunities to get my work recognized—whether in a good or bad way! Don’t take rejection personally. It’s not personal, I can’t stress that enough. Unless you’ve come across as a total jerk in your query letter or proposal, the editor reading your work isn’t going to know you from Jane Doe, unless they’ve bought from you before. Thus when he or she says no to your work they aren’t saying you’re an awful, terrible, useless person. And if you ever get a rejection letter that says that, then there’s something wrong with the editor—not YOU. To write the book of your heart and not worry about the market. I think only really established authors have that luxury, or new authors who are well connected in the business. To survive in the writing business you HAVE to know the market. It’s obvious to editors when you don’t, and they don’t have the time to educate writers on what’s hot and what’s not. I think you can write the book of your heart with a particular market or genre in mind and still have your work come across as pure and genuine. I wish I would have known how slow the publishing business really is. People told me that, but I didn’t fathom it until I had experienced it myself. It’s taken me years to develop the modicum of patience I have now. But I still have a loooong way to go. Philippians 4:13—I can do all things through He who strengthens me. That’s my favorite scripture because it encompasses everything, and especially my writing career. I can do nothing without the Lord, but I can accomplish anything with Him. This past year has been a doozy. I had to go back to teaching because my husband lost his job. I love teaching, but I love writing too, and I feel blessed to have the opportunity to do both. But it has been tough, very tough, to work two jobs and care for three young children and support my husband as he expands our subsistence farm into something that might make a little money. Going from SAHM to the breadwinner was like jumping into a pressure cooker, and neither of my jobs alone make enough money to support a family of six (my mentally ill mother-in-law lives with us too), so I need to do both. And for months I’d been getting rejections on my proposals and hearing nothing from readers and sometimes getting zero response from editors too. Which is even worse than a rejection, I think, because at least with a rejection you’re not left twisting in the wind. I was getting very discouraged and considering just giving up writing for anyone else except Avalon, who was interested in seeing more books from me. But then, all of the sudden, boom! 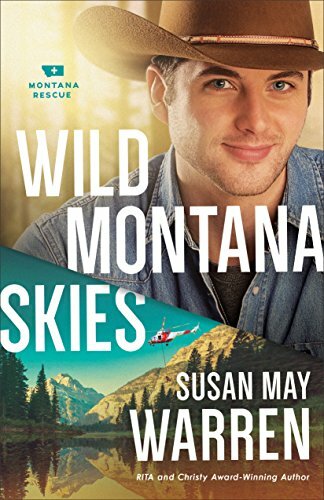 I got the contract for NEVER BROKEN, a request for another manuscript from Harvest House and a new line at Harlequin opened up that I wanted to try to write for. Through all this I’ve realized that writing—like life—is filled with hills and valleys, and that I should never underestimate, or even try to guess what God’s plan for me is. REDEEMING LOVE, my all time favorite. The Fires of Glennmeara Series by Linda Windsor. I enjoyed Tim Down’s book CHOP SHOP, I think he’s a brilliant story teller. Walter Wangerin Jr’s BOOK OF GOD is also a keeper. Brock and Bodie Thoene’s Irish series and their World War II books are incredible. Two of my crit partners, Maureen Lang and Tamera Alexander, have written excellent books, PIECES OF SILVER and REKINDLED. I could go on, there are so many. I guess you can tell, I really like historicals. I’m proud of NEVER BROKEN, my current book. I’m also working on the sequel, and I’m loving it. I’ve learned so much writing these books, both spiritually and about Irish history. I’m part Irish and some of the parts of NEVER BROKEN were inspired by my ancestors, and I dedicated the book to my father’s side of the family, the Daly’s. It made the whole project very personal to me. Those are rewards in themselves. Yeah, the marketing. Did I mention I hate marketing? But it’s a necessary part of the business. I would love to be able to focus my energies on writing the books and let the rest of it go, but I can’t. Especially since I’ve written mostly for small presses, it’s important to get my name out there. I haven’t done that great of a job of it, but I’m learning, and God is helping me walk through the doors He’s flung wide open for me. Actually I think He’s shoving me through those doors, because I’m chicken. Cluck, cluck. I would if I had a typical writing day! Mostly my days consist of getting to work at 7am. I’m a special education tutor and teacher of the blind and visually impaired at Geneva Jr. High and High School. Most of my time is spent teaching, but when my students are busy doing their work and don’t need my direct attention I take pages of my ms with me and work on them. Or I write a few new pages, then type them into the computer later. Sometimes I’ll come home after work and write a little bit, but most of the time is spent checking email and thinking about working on my website. I do a lot of thinking about working on my website instead of actually doing it, because I hate website work. On the weekends I write, mostly on Saturday afternoon. When spring and summer get here I’ll cut that down because I’ll be outside with the kids. So basically writing for me consists of grabbing five minutes here and five minutes there. Fortunately I’m a fast typist. Wow, what a terrific, and terrifically difficult, question. Regarding writing craft, my biggest weakness is plotting so I’d love to have the plotting skills of the Thoene’s. They seamlessly weave numerous storylines together. But regarding faith and following God’s leading I’d love to have Francine River’s devotion. She had such a successful secular career, and then she couldn’t write for five years. To me that would be terrifying. But she parlayed that into studying God’s word and developing her relationship with Jesus. And now her books are so infused with faith and love and she has reached so many people with her stories. I’d love to be able to write for many, many years to come. I’d also like for my books and stories to have entertained readers; that they would come away after reading one my books and say it was time well spent. Was there ever a time in my writing career that I didn’t think about quitting? Having a writing career involves so many struggles. Struggles with self regarding confidence and perseverance, struggles with publishers over getting books accepted and bought, struggles with the readers over having them read your books and recommend them to their friends. At times it seems like you’re constantly running inside a hamster wheel. But if there’s one thing I’ve learned is that there are lots and lots of people who can write well enough to sell, who are savvy enough to deal with the business, and who have a million ideas for books. But writers who write for a living and are successful at it all have one thing in common—they never quit, no matter how tempting it would be to do so. So while I often entertain the idea of giving up, I will never actually do it. The only sure way to fail is to not try at all. Favorite part, other than holding the finished book in my hands, is revising. I love to edit and revise. Least favorite part is the actual writing. It doesn’t come easily to me, I have to jerk it out of my mind and thrust it onto the paper. But once I have something to work with then I’m having fun. I don’t do enough! And my advice would be don’t do what I did and avoid it. Don’t count on your publisher to market you, because there’s no guarantee that they will. You have to be very proactive about every aspect of your career because the competition is so great. Even if you are extremely shy or introverted you have to overcome it enough to sell yourself to your editor and to your readers. Make sure before you even submit your work that you have a marketing plan in mind. One good book on marketing is by Carmen Leal, YOU CAN MARKET YOUR BOOK. The title pretty much says it all. I’d love to come up with something profound here, but profundity isn’t really my strong suit. I’ll just say that if you want to be a writer, if you feel God leading you in that direction, then do it. Don’t let anyone, even yourself, talk you out of it. Remember, whatever God calls you to do, He will equip you for. It may take years to prepare for it, and it will definitely encompass rejection and pain. But anything rewarding takes hard work and perseverance, so don’t let anything stop you from doing what you are called to do. Sit down, and WRITE! Wow, Kathy, great interview. Thanks so much for sharing what you learned! I love your advice about marketing. It also struck me about you wishing you hadn't been published so soon. I'm just now realizing that can be a blessing as I write my 3rd novel and look back at my first. It wasn't bad, but my writing has come so far from book 1 to book 3. I can now thank God for unanswered prayers. This was very informative. I wonder if you could tell us a little about your editing business? Kathy, we're a lot alike in some ways. Plotting is my weakest area, too, so I also prefer editing to the first draft. I think that's because of the plotting issues. I have to do the same herky jerky dance to get it on paper the first time. :o) Thanks for the encouraging words! I think it's fascinating that you feel like being published too soon is a negative, and that you aren't content to stay where you're at skill-wise. Wow, Kathy, you have a lot going on family-wise! Praying God's strength for you. Thanks for the prayers and comments y'all. I really appreciate them. My editing service is Crystal Clear Editing, and I just started it last year. I took a course in editing from the University of Wisconsin, but I've been in critique groups since I started writing. I edit both fiction and non-fiction, and provide references upon request. 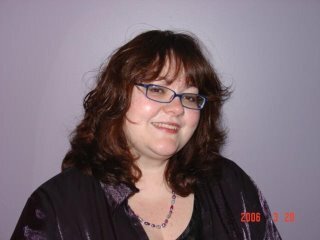 I have a contest on my website to win a chance at a free critique, so check it out if your interested--www.kathleenfuller.com. Again, thanks so much for the prayers and positive thoughts. They mean so much to me. I just read you novel "Never Broken". I truly enjoyed it!! I can't wait for the sequel and what happens to Rory, Colm, Shannon, Ian, etc. Thanks for an incredible story! !